How could I resist a book that combines a magical cake batter that a town swears is the basis for 100% successful matchmaking with a bakery owner who is part witch and stirs the batter to life. Mix in a slightly cynical and pretty-much burnt out newspaperman looking for a scoop, and stir together with a wonderful and crazy lakefront small town in Upstate New York, where they hold an annual summer fling benefit auction for women to bid on their hunks of choice (and guarantee themselves a steamy summer fling). Yes, this is a recipe for a truly magical and enchanting four and a half star romance that has enough heat to slightly scorch my eReader! If you hadn't already guessed, I’m describing Robyn Neeley’s newest book, Batter Up, and you can pre-order it now to make sure that it’s added to your bookshelf in time for August beach reads (publication date: 1 August 2014). A really fun, light read, Neeley’s imaginative story also contains characters that you’ll love (and some that you’ll love to hate). I found myself laughing-out-loud several times, but also found myself tearing up just a bit as Emma and Jason opened up to one another. Their respective back stories are compelling. I do hope that there might be another “bachelors of Buttermilk Falls” story in the works for readers. Perhaps one about Emma’s cousin Abby and Jason’s best friend Brandon (yes, there’s a bit of bromance going on here). And I’d love to know more about Emma’s father. But if not, treasure this book for what it is. 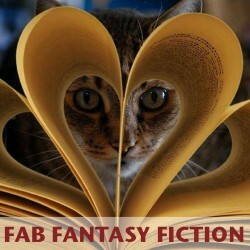 Perfect escape reading for the summer or any season you choose. 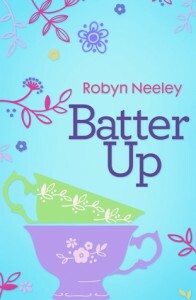 If you’re looking for a fun and moving summer read that’s not too sweet, pick up Batter Up by Robyn Neeley.